Love is the strongest bond and emotion that can ever be felt. It is a soul connection that can never be broken and is ‘Everlasting’. This gorgeous necklace is a sterling silver heart outline in pink crystal. 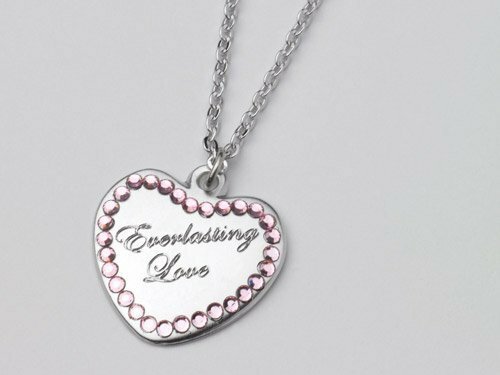 In the middle of the heart are the words ‘Everlasting Love’ engraved in a beautiful cursive script. This necklace was designed to be worn as a reminder of that special bond of love we share with that special person.